Magnet #3 - Don't Mess with Texas. While Texas may have been a boon for Joel and Ethan Coen, bad things happen to the joyfam when they go to Texas. 1) In the wee hours of the morning, the little burgundy station wagon that couldn't anymore, somehow flipped over (or, turned turtle, as my mom likes to say). 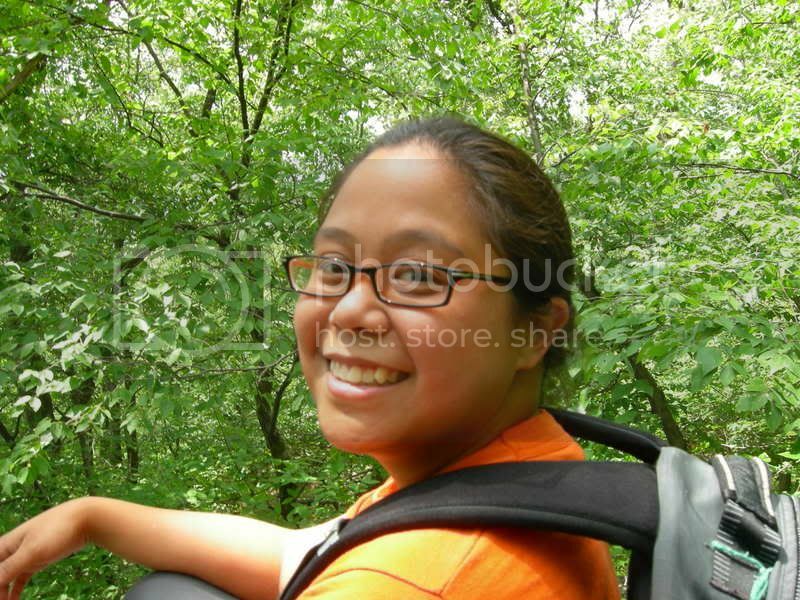 I dimly remember peanut shells flying all over the place, and baby sis being stuck in the back behind the seat. But, it does make for good magnet, guess.. 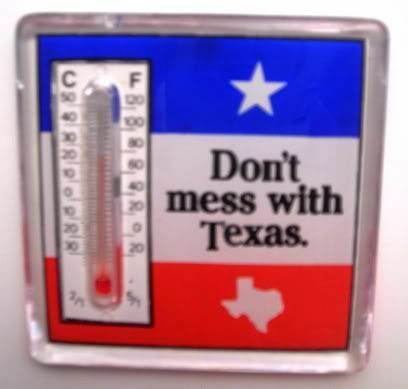 Except does my magnet say, Don't Mess with Texas...cuz we'll sic the heat on ya? Or, Don't Mess with Texas...cuz we're too darn hot? What they really should do, is make a magnet with a picture of Javier Bardem (in his Little Lord Fauntleroy haircut, natch), beside the Don't Mess with Texas. Baby Sis No. 1 thanks you for the retraction and wishes to let you know that her lawyers have dropped the libel suit. HEE! also, i'm still creeped out by escalators and stupid teenagers that sit on them in the DC metro. don't they know the dangers?!?! ?